Vermont. This is where it all began. The place where I call home. Even though I haven’t lived there for a long time, it is the memory and all that I gained from living there that makes this place where I am from. Probably the first person to influence my creativity was my father. He is a man who could teach himself anything. 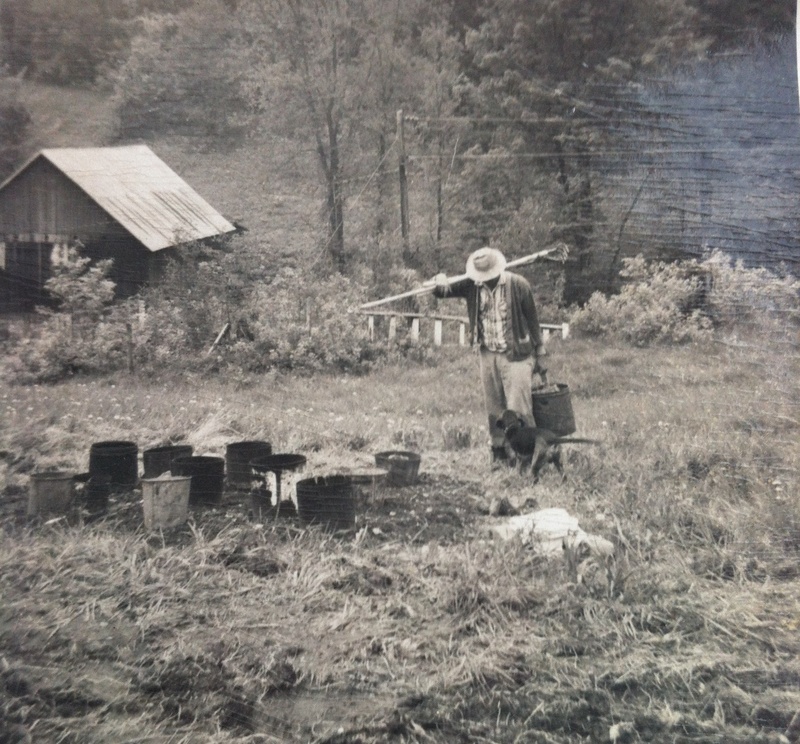 In this picture he is grinding stones which he rockhounded from a nearby quarry. He taught himself lapidary work and silversmithing and followed that trade for about twenty years. the Crisis at Three Mile Island had a major impact on my life. We left Vermont in the mid-seventies to seek greener pastures. 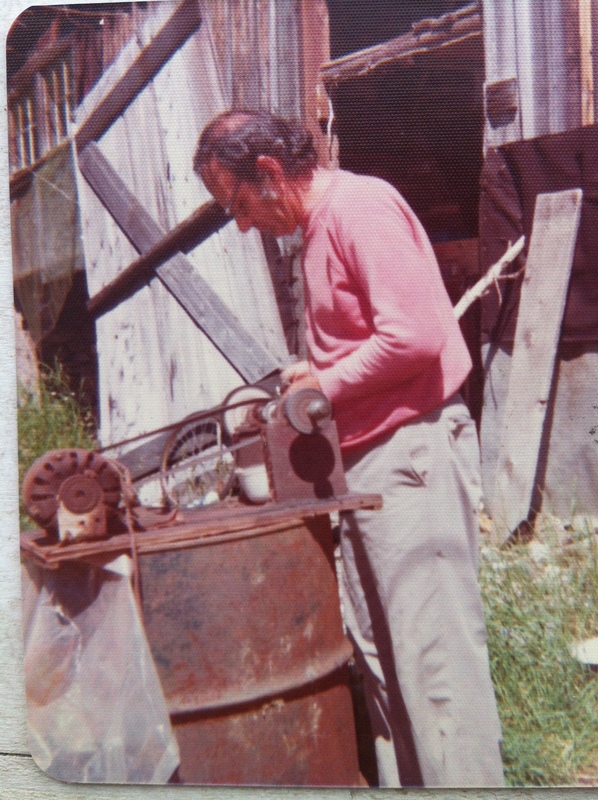 It was hard being a craftsperson and making a living when in a rural area. My parents felt they needed to be where there would be more people so they could make a decent living. We moved to Lancaster, Pennsylvania, At the age of 14 the sudden realization that our activities as humans can have immediate and detrimental consequences to the world and all its creatures is an feeling which has stayed with me forever. In 1988 I produced my first pinhole camera image. 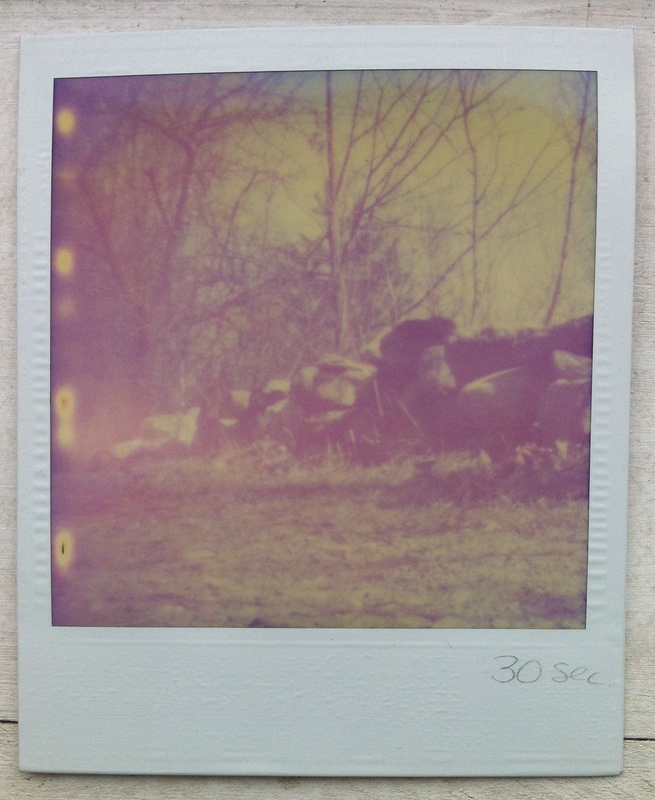 I had seen an art student’s senior project which used SX-70 Polaroid film in a pinhole camera. So I decided to experiment with it. After wasting a bunch of film, I put pinhole cameras away for about 12 years. Philadelphia. 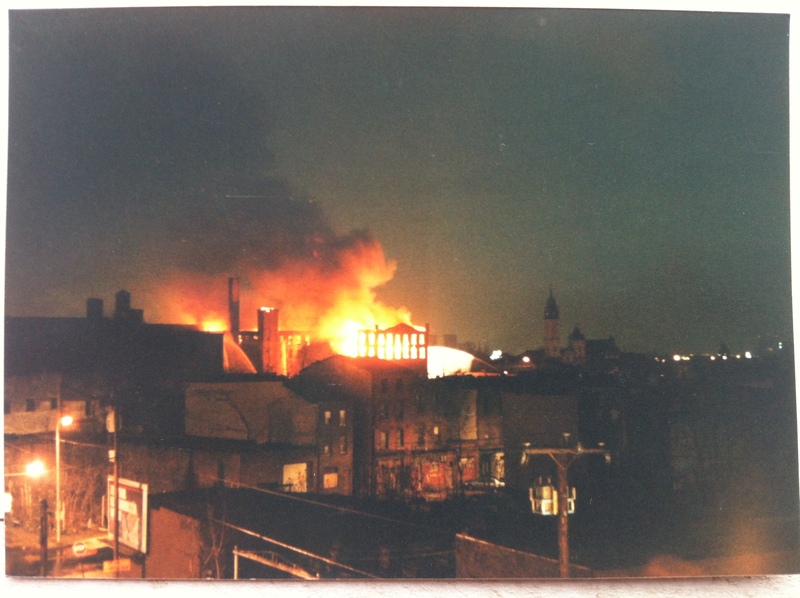 It seemed like everything in Philadelphia was on fire when I lived there in the eighties. The city firebombed the group MOVE in West Philadelphia thereby destroying an entire block of homes. The desperation of so many people who were left behind when the factories in the city either closed up or moved overseas made crime an option to get by. I lived in this neighborhood where Frank Rizzo had the National Guard at the ready to attack protesters in the sixties. The factories there were either boarded up or hanging on by a thread. Late night entertainment included watching packs of feral dogs running the streets or watching how fast a car would pull into the empty lot and get completely taken apart before being set on fire. It was the economy of desperation.